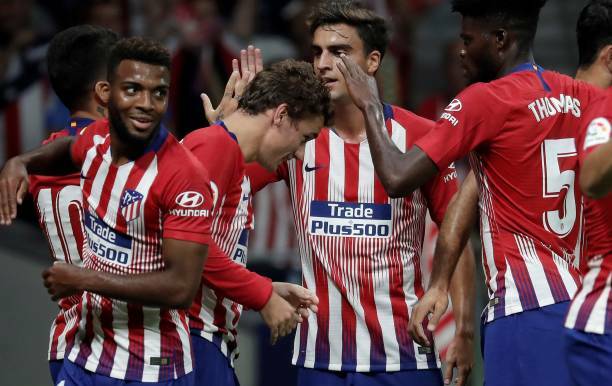 Atletico Madrid has defeated a their laliga opponent Huesca 3-0. Griezmann gave Madrid the starting lead by scoring in the 16th minute when he tucked in Diego Costa's cut-back, Thomas Partey then getting in on the act with a sublime long-range finish. Atletico madrid did take long time to earn the lead, Costa racing clear of Huesca's defence before selflessly squaring to Griezmann for a simple finish. Huesca's resolve would be broken again just before the half- hour Partey arrowing a strike into the bottom-left corner from 25 yards. And Atletio madrid were celebrating a third four minutes later, Koke's pass, intended for Angel Correa, leaving keeper Axel Werner flat-footed - and although the goal was initially disallowed for offside, VAR rightly overturned the referee's decision. Jose Gimenez's calf injury dealt Atletico madrid a blow shortly before half-time, Simeone wasting no time in taking the Uruguay off, but the cushion did allow the manager to rest his key men with an eye on the derby as both Griezmann and Costa made way early in the second half. Substitute Juan Aguilera almost restored some pride for Huesca with a close-range flick late on, but Jan Oblak pulled off a fine save to maintain Atletico madrid clean sheet.